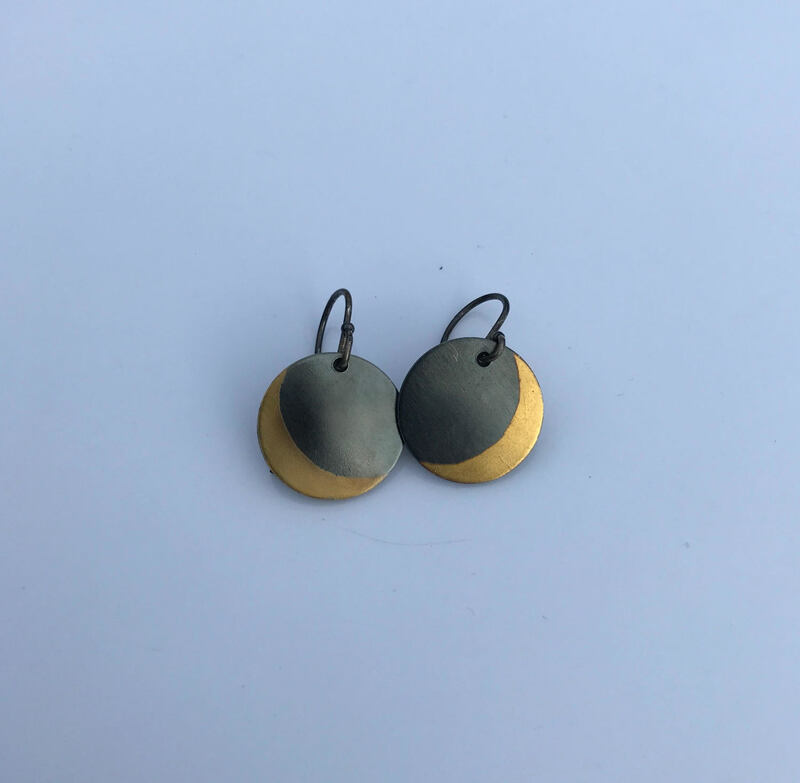 Handmade jewelry with a modern aesthetic. "Gerhana Mata Hari", Indonesian for total solar eclipse. These earrings are offered for the 2017 Great American Eclipse, which will be my fourth viewing. Oxidized sterling and 24 karat gold.